Parliament has this morning approved the 2018/2019 financial year budget totaling 32.367 trillion Shillings. 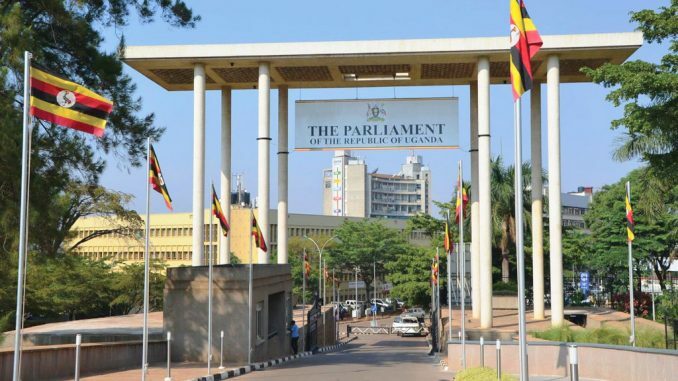 The approval comes just hours after a heated debate on a mismatch in figures presented by the budget committee, a glitch which stopped parliament from beating the May 31 deadline specified in Public Finance Management Act. The Public Finance Management Act requires parliament to pass the budget by May 31 before it is read out to the public. In the budget, the total recurrent expenditure stands at 9.4 trillion shillings while development expenditure is estimated at 13.1 trillion Shillings. The additional 10.1 trillion Shillings is classified as statutory expenditure. At least 24 trillion Shillings of the total will be mobilized from domestic sources and 7 trillion Shillings from external support. The Works and Transport sector is taking a lion share of the budget at 4.7 trillion Shillings, One trillion above last year’s allocation. The education sector funding now stands at 2.4 trillion Shillings at the same footing with the energy ministry. The health sector will get an allocation of 2.2 trillion Shillings while local governments will collectively share three trillion Shillings. According to the budget, at least 1.5 trillion Shillings will be spent on Public sector management, 1.4 trillion Shillings will be spent on security, and 1.2 trillion Shillings will go the Justice Law and Order Sector. 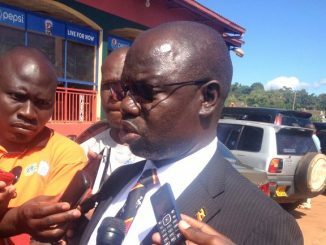 The ministry of agriculture will receive 862 billion Shillings, the Ministry of Water and Environment will take 595 billion Shillings and the Legislature will receive an allocation of 459 billion Shillings. Earlier, Dokolo Woman MP Cecilia Atim Ogwal made attempts to block the process through a minority report, saying that the budget and the resource envelope were not aligned to the National budget framework paper. Ogwal expressed dismay at the dismal allocation to the agricultural sector pointing out that parliament had failed to implement a resolution for the allocation of up to 54 billion Shillings towards fighting ticks as part of the agriculture sector budget. The budget item was only allocated 11.5 billion Shillings. Ogwal also raised discontent over the failure to ensure that all public servants were given a salary enhancement in order to avoid peace mill enrichment. Legislators also held a lengthy debate over non-compliance of the different sectors on gender equity. Kumi Woman MP Monica Amoding said 28 Government agencies had failed to meet the target and had asked that their budgets be withheld until the anomaly is rectified. 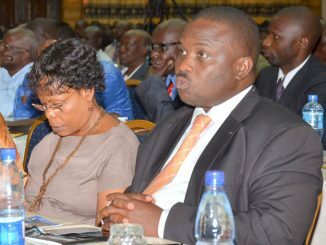 However, the Deputy Speaker Jacob Oulanyah guided the MPs to issue strong recommendations for gender equity to be assessed and catered for in the next budget cycle. The Budget will now be read on June 7.